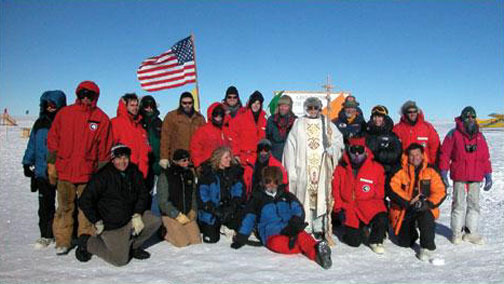 The second group flew to the South Pole on Sunday January 19, 2003. 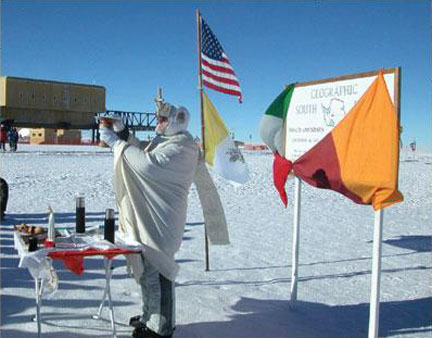 In addition to visiting the Scott Amundson station, the group participated in the mass conducted by Mons. Andreatta. Mons. 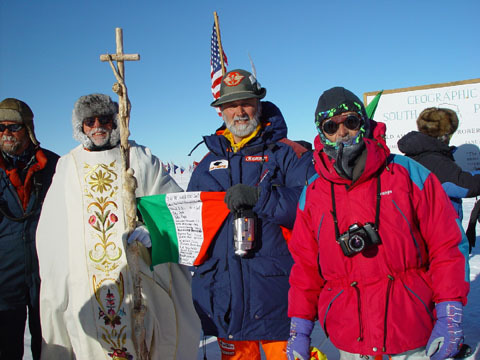 Andreatta, Antonio, and Robert at the South Pole with a person from the Scott-Amundsen Research Station.